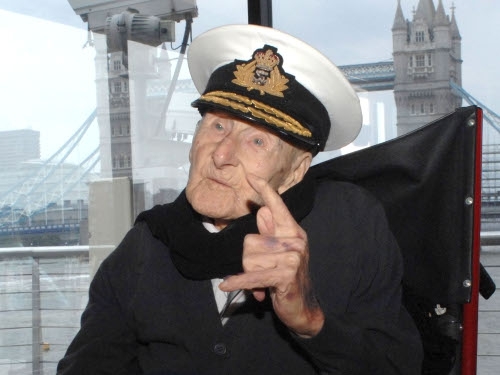 Henry Allingham, who was the world’s oldest man and oldest World War I veteran, has died at the age of 113. He had become the world's oldest man on 17 June, Guinness World Records confirmed, when the previous holder, Tomoji Tanabe of Japan, died aged 113. Mr Allingham had marked his 113th birthday on 6 June. A funeral will take place later this month in Brighton. Britain’s Prime Minister Gordon Brown led the tributes to the veteran. ‘I had the privilege of meeting Henry many times. He was a tremendous character, one of the last representatives of a generation of tremendous characters,’ he said. A mechanic in the Royal Naval Air Service, he took part in the naval Battle of Jutland in 1916 and was one of the founding members of the Royal Air Force, which was formed in 1918. Mr Allingham had five grandchildren and 12 great-grandchildren, 14 great-great grandchildren and one great-great-great grandchild. Dorothy Allingham, his wife of 51 years, died in 1970, a decade after he had retired. In civilian life, he worked for carmaker Ford. The world's oldest man is now a 112-year-old American, Walter Breuning, who was born on 21 September 1896. The world's oldest woman is Gertrude Baines, a 115-year-old American.